Every week the radio show is a series of mixes, usually a sequence of mini-mixes, 3 or 4 song runs put together to fill an hour. Every now and again though, a bunch of music comes together on my radar, drawn from albums sent to me as well as my own listening habits. Over the last few months I’ve noticed an amount of striking and powerful instrumental music coming together in this orbit I call The Underground of Happiness. All of this has received an airing on the show at some point, but given that I only have 1 hour per week to play with live on air, I thought it would be good to give some of this music an extra platform. Touring season approaches so quite a few bands on the show this week playing live soon. Daniel Knox, part of Quarter Block Party in Cork in early February August Wells, Irish tour in Feb This is the Kit & Giant Sand, both in Cork in April Yorkston Thorne Khan, part of the Field Day Festival line up in June. Great new music from Astronauts, so good to hear from them again; also Nap Eyes, songs to get under your skin. And The Altered Hours (pictured), launching their long-awaited debut album this week in Cork, after which they tour the known universe. There’s only one Tortoise in the world and they’re back with their latest gift to us, a glorious groovy thing from the very first beat. The title track, a thrilling circling tune full of conviction and killer kosmische synth hooks. The great ominous build of ‘Shake hands with danger’, a minimalist clanging chime loop at its centre. The beautiful shifting sands of ‘The clearing fills’, a drifting jazz dream. The epic ‘Gesceap’, buzzing keys under a series of interlocking Reichian melodies. The drumming as always is wonderful, chunky and delicate, supported brilliantly by an urgent bass pulse. Plus they cover a David Essex song, ‘Rock on’, sung by Todd Rittmann of U.S. Maple. Honestly, can this band get any cooler? A lot of new music on the show this week, in keeping with normal January service. Shye Ben Tzur, Jonny Greenwood & The Rajasthan Express, showing everyone how to make dance music. 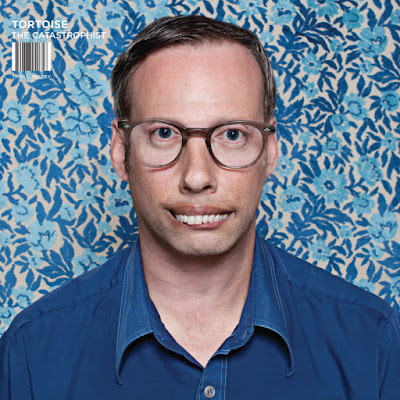 And Tortoise, more masterful minimalist grooves from their upcoming new album. A fantastic musical curio taking in naive pop, folk, jazz and Indian classical music. The song is written by the great Scottish songwriter Ivor Cutler, the band is James Yorkston, renowned Scottish folk musician, double bass player Jon Thorne and Indian classical singer and sarangi player Suhail Khan. They make something lithe and supple and swoonsome. Irish singer Lisa O’Neill, someone whose own work I personally haven’t dug up to now, adds a lovely dual vocal turn. as a bass pulse dots the backdrop and assorted drones (sarangi, nyckelharpa?) swoop and slide. Later Khan’s devotional singing just crowns it, a beautiful percussive instrument against the drones. It's a sweet and lovely thing which takes the charming strangeness of the original and turns it into something ancient sounding. We're all probably sick of these by now, but one last thing. This is a Best of 2015 mix I put together, this one largely taking in June-December last year (a few exceptions). The full tracklist is on the mixcloud page, there's a range of stuff in there, kicking off with some psych pop and electronic tunes, some power pop and prog pop, folk, instrumental and orchestral. By the way, I also did one around the middle of last year, which fitted into one of the weekly shows. That's also below. Obviously some David Bowie reminisciences this week. Not many people get to orchestrate and soundtrack their own passing, apart from everything else he gave to humanity, hats off for that. August Wells, new tune from them, Irish tour in Feb, can't wait. Something old from Ennio Morricone, wonderful a cappella with drums, just when you think you've heard everything from him. These round ups are by nature a time travel exercise, some of the music here being a year old. But even since Part 1 of the review in mid-December, the world seems a very different place. It's now a post-David Bowie time, a post-Mick Lynch time, mortality comes for all of us, better get used to it. Josephine Foster, characterful vocal troubador songs, new album No more lamps in the morning. Rozi Plain, beautiful kosmische type folk, both playing Cork's Quarter Block Party in February. And Lee Hazlewood from 1966, taking a leaf from Morricone, with massed vocals and bending strings...marvellous. More on these pages - check the Best of 2015 posts for more detail on my favourite music of last year. Part 3 of this epic poem, and I hope your year's been good so far. We're at a faster clip (tempo basically) for this section, there's something about these songs that shows some kind of urgency, people in a hurry, on some kind of mission maybe. And it strikes me that few things in life are more exciting to me than pop music with progressive tendencies. What exactly this means we can debate but wrapping a pop tune around a literary/unexpected/twisted lyric or conceptual idea raises the genre to a higher artform. Or building a classic rock guitar riff then undercutting it with a kosmische synth. Or steeping a song in jazz influences only to strap a motorik backbeat onto it. Or...well you get the gist.